Build your own home the way you want to in the lap of nature. Synonymous to its name, Eco-Greens Phase || gives you a chance to capture the grandeur of nature in your neighborhood. Spread over a sprawling expanse of 12 acres, Eco-Greens Phase II is a gated plot community located on Barwala Road Derasbassi. Its strategic location renders great connectivity to both Chandigarh & Zirakpur, while being at a convenient distance of 12 kms from the Chandigarh Airport. 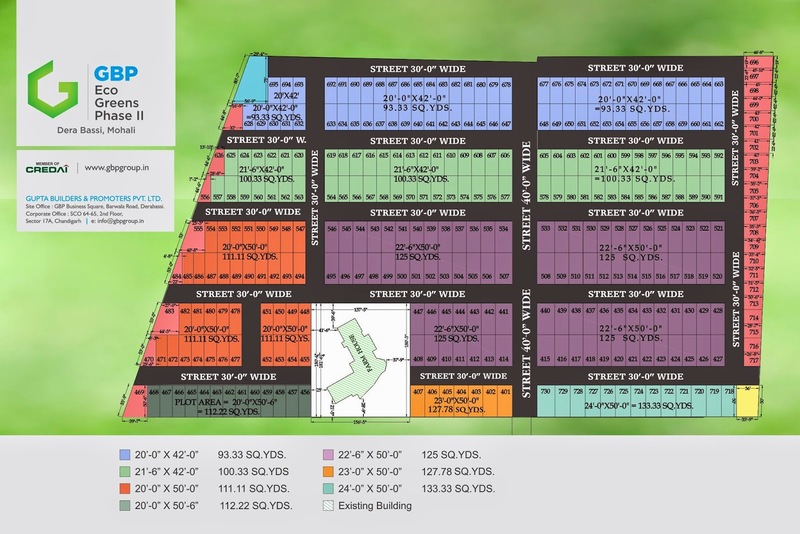 At a distance of mere 0.5 km from the proposed 158 ft wide R2 road, Eco Greens Phase II offers plots ranging from 93 sq. yards to 133 sq. yards. Come find your space at Eco-Greens Phase II and wake up to a beautiful scenic blessing every day. 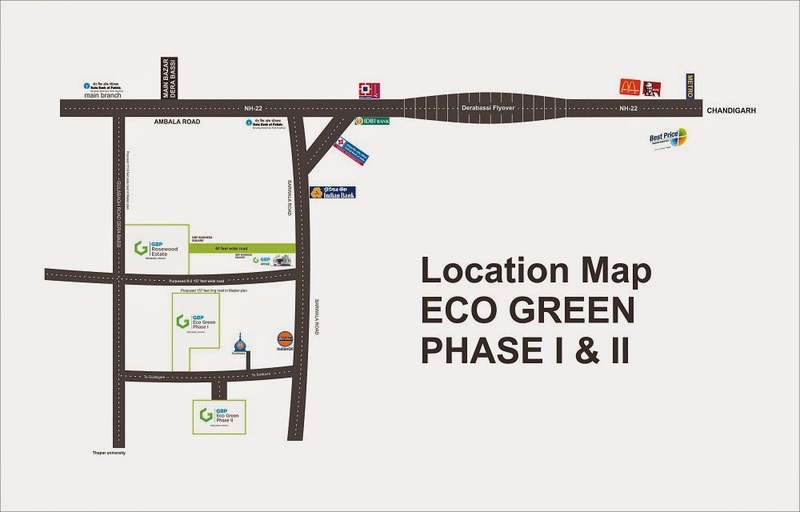 LOCATION MAP GBP ECO GREEN PHASE-2 Derabassi. 2. Cheque/Bank Draft to be made favoring M/s GUPTA BUILDERS & PROMOTERS PVT. LTD., payable at Dera Bassi. 3. IFMS, Maintanance charges will be charged at the time of possession. 4. All terms & conditions of the sale would be as per the standard allotment letter of the company. 5.Stamp duty, service tax, Registration Charges & PSEB Electricity connection charges or any other charges Payable extra as applicable.